Simply put, Forging is the process of shaping metal by hand or mechanical manipulators after it has been heated, by applying a compressive impact force. At FFI we use open C-Frame steam forging Hammers. Open die forging is shaping hot metal parts with net shape dies. Open die forgings can be forged from just a few pounds to more than a 100 tons. Although open die forging often is associated with simple shaped parts for example bars, disc, rings, or spindles. 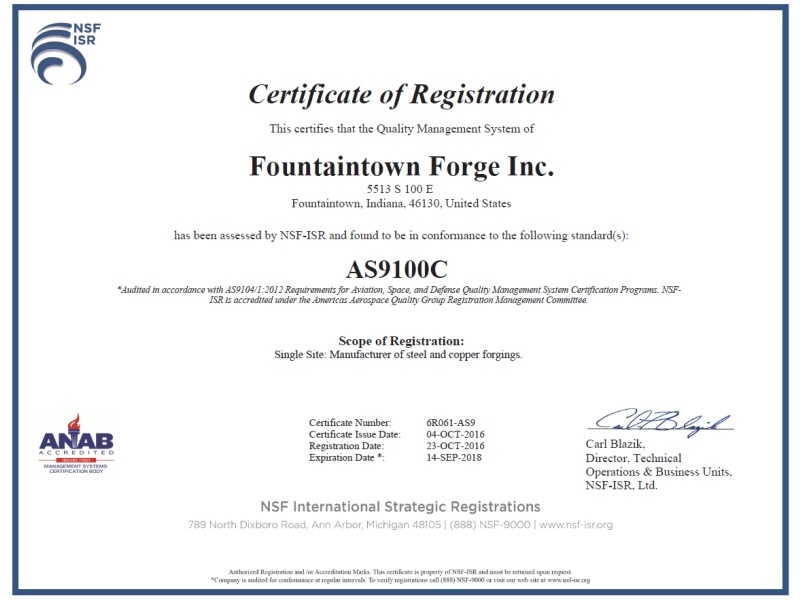 Fountaintown Forge offers many shapes that most would not think an open die forge company would be capable of. So no matter what your shape or size call FFI for all your forging needs. Why should I buy a metal forging? There are two main reasons. First, the unique physical properties produced by forging. During the forging process, the physical properties of the metal is changed and improved. The grain structure is refined and density increased, thus improving the overall strength of the metal. Forging also allows for the grain flow of the metal to be altered in a manner that counteracts, accepts and neutralizes the stress load burden of the completed part or assembly. Forging develops the full impact resistance, fatigue resistance and produces greater metallurgical soundness. Forgings also yield a resistance to impact and fatigue. The second reason to buy a metal forging is value. 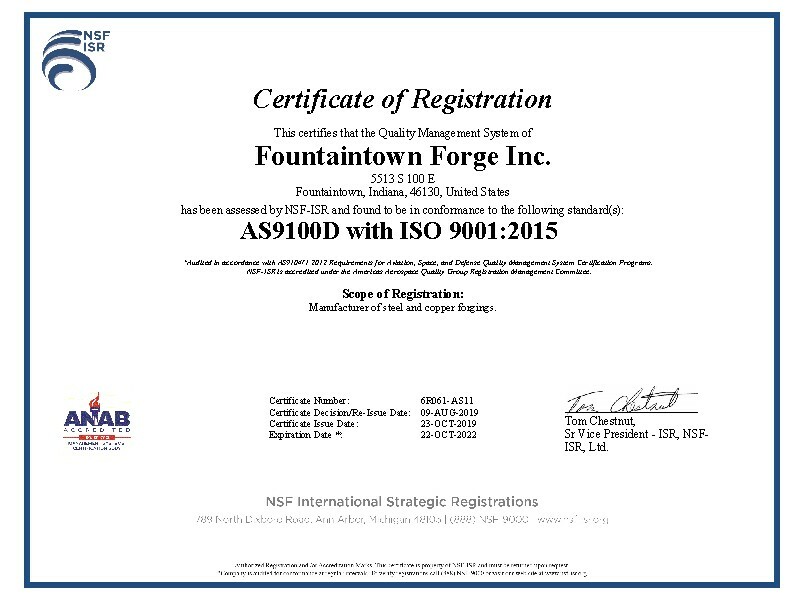 Fountaintown Forge can customize your forging for optimal utilization of material, thus reducing raw material cost as well as reducing time required for machining operations, and therefore decrease lead time for your finished product. What Grain Flow advantages are realized with forging?